Losing out on a promotion, and watching it go to one of your coworkers instead, is one of the most difficult things you can experience as a business professional. Feeling like you've done everything you can to succeed, and still not getting ahead, can be intensely frustrating. It could even be demoralizing: missing out on one advancement opportunity could lead you to believe that you're stuck in your current role without much hope of advancing past it. But that's not always the case. In fact, the reason you didn't get promoted could be something well-within your control, if only you knew what it was. Even the best manager isn't capable of reading your mind. Just because you've been working hard in the same position for a while doesn't necessarily scream to your boss, "I'm looking for a promotion!" As the Classy Career Girl blog pointed out, not everyone wants to be in a leadership role, so if you don't express your desire to move up and grow, your superiors probably won't assume that's what you're looking for. Instead of sitting back and assuming that the work you've been doing is sufficient for advancement, take action and make sure that your boss knows what you've been up to and what you'd like to achieve going forward. Set up a meeting and ask your boss what it'll take to move up and get promoted. Have a chat about what your career goals are and how you're working to meet them. Bosses love to know that their employees are up for a challenge, and they'll appreciate the fact that you're being assertive and working hard to get what you deserve. After all, it is ultimately part of the job of a manager to develop the people underneath them. It's also important to apply for promotions, even if you're concerned that you don't meet every last technical prerequisite. Often, higher-ups will take a chance on somebody they know has the motivation to learn the skills required on the job, provided that person has shown competence in other areas in the past. At the very least, putting yourself in the running for promotions is a clear signal that you are interested in progressing, and if a role more suited to your abilities opens up, your name will already be in the conversation. Also, keep an eye out for professional development opportunities offered at your current place of employment. Are there classes for certifications being offered? Skills development programs? And opportunity to shadow somebody who works in the role that you're seeking? Don't be afraid to reach out across departments, if you feel that there is a potential learning benefit. Once you've acquired the skills, it does you know good if your boss has no idea that you have them. Seek out projects in your current job that allow you to display the breadth of your talents, and be on the lookout for any professional certifications that can serve as proof that you're able to do more. On the flip side, it could be so called "soft skills" that you're lacking, rather than technical abilities. Forbes pointed out that the skills you need for a higher position aren't necessarily technical, which may be why you're stumped as to why you're getting passed over. Remember also that soft skills, such as communication and conflict resolution, can be learned and studied just like any other ones. Put yourself in situations where you can cultivate these skills, and don't shy away from doing research. If need be, consult your manager on how well you're faring with regards to these skills, and look for guidance on how you can improve. Proactivity is a great signal that not only are you interested in getting ahead, you're also willing to put in the work necessary to do so. 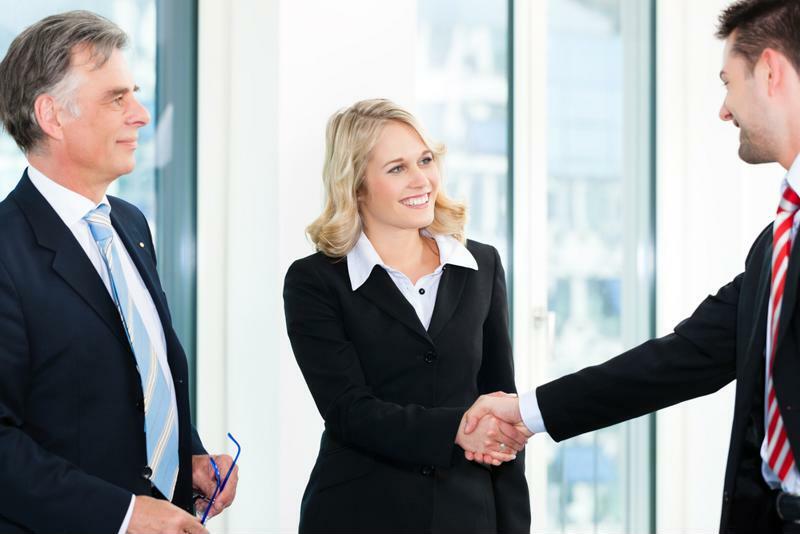 As you advance your career, you also need to advance the degree of professionalism you show. Behavior that is fine for an entry-level employee could be completely inappropriate for an executive, and that only becomes more evident when you are managing people. For better or for worse, employees look to their supervisors for cues on how to behave, which means that those higher level people are held to a greater standards. If you haven't gotten to that level, it could be that you boss sees your professionalism as lacking. For example, in a recent ProOpinion poll, 21 percent of business professionals thought that complaints about other colleagues and bosses are discussed most often at the water cooler. If you're participating in this office gossip, there's a chance it's getting back to your boss. Also, be mindful of the details, and the image that you are putting out to the rest of the team. Are you constantly late? Do you speak over other people in meetings? Do you have issues adhering to clearly-defined standards, such as dress codes? All of these things might not affect your ability to get your own work done, but they will certainly impact how your boss views your professionalism, and how willing he is to trust you with greater responsibility. In some organizations, there is a clear hierarchy, and advancement is based on having a particular set of skills that fit in with a particular rung. If you lack any of these skills, you could be passed over - even if there are other ways you could be a clear asset. There are two ways to deal with this particular roadblock. The first way is straightforward: find out what the skills you need are, and go about acquiring them. The key here is to go into the process with a clear understanding of what is required of employees at each level, and tailor your learning towards that. You can even go to a manager and say, "I am interested in becoming a member of the senior staff, and am thus getting all the relevant certifications."